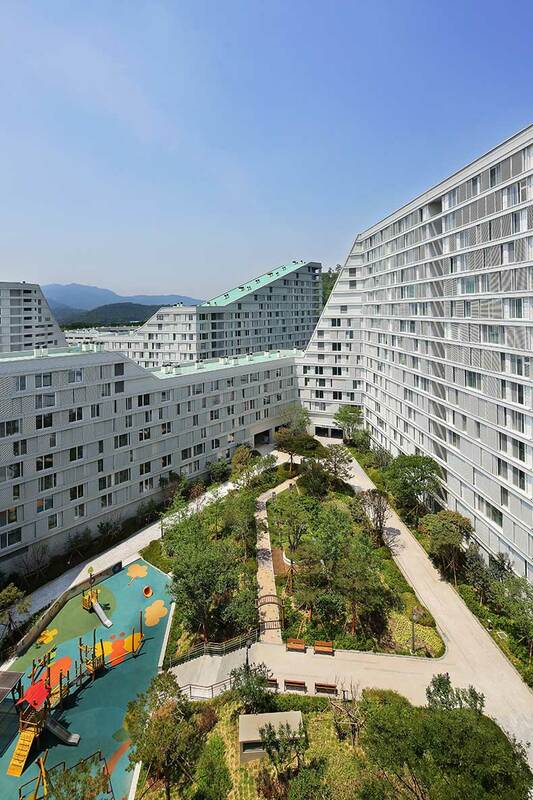 A residential area with close to 1400 apartments was realized in the hills south of Seoul. 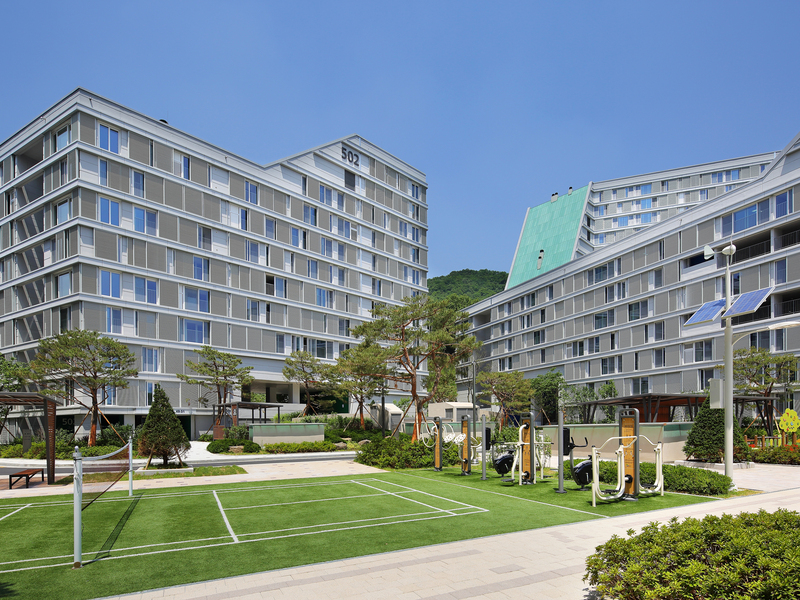 The client’s objective was to create affordable public housing for low income families with the focus on providing a new public housing prototype in Korea. The developed urban plan is based on the topography of the landscape of the site: within the sloping green hills lies an ensemble of urban blocks of different heights, public roads and landscaped outdoor spaces. The public green areas are inter-connected in a car free zone which enables an attractive living environment that stimulates informal encounters between residents. Each individual block also has its own courtyard that serves as a communal space with sport facilities, playgrounds and gardens. 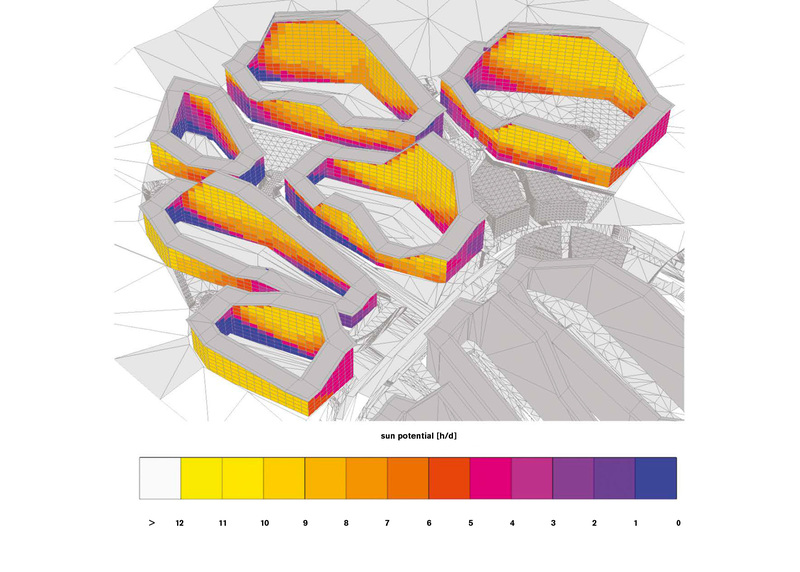 Transsolar supported the design team during the competition phase in developing a very high FAR masterplan, but nevertheless providing highly comfortable indoor and outdoor spaces combined with a reduction in energy demand. With daylight and solar tools Transsolar supported the distribution and shaping of the buildings to achieve the optimal forms and orientations to maximize solar access for all apartments leading to physical comfort and reducing heating demand in winter and shoulder seasons. 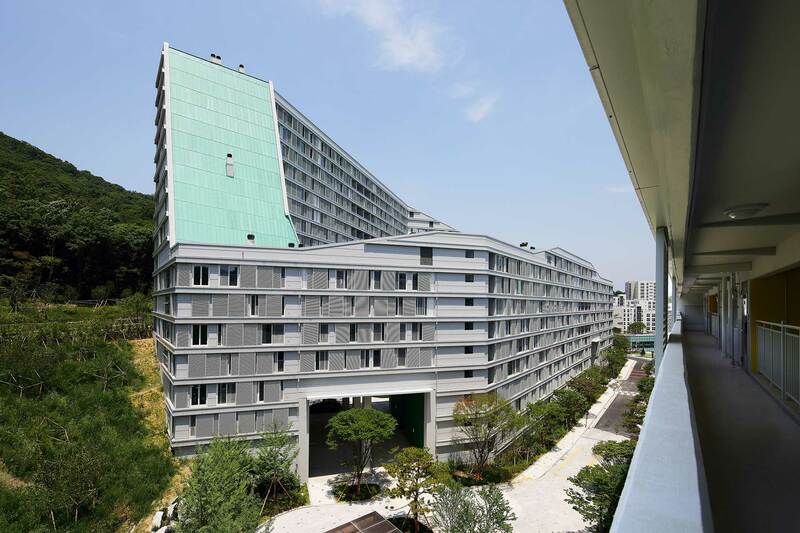 To minimize solar heat gains in summer external movable shades filled with horizontal louvers have been installed depending on the façade’s orientation, providing an individual element of privacy as well. Local wind conditions foster cross ventilation, ensure high indoor air quality and provide a cooling breeze through the apartments in the intermediate and summer period. By combining night time ventilation and the use of the exposed thermal mass of the concrete ceilings, cooler night time temperatures can be stored and made available the next day. Furthermore, the shape of the blocks creates a micro climate zone within their courtyard which is protected from the wind and with direct solar access, providing a comfortable outdoor space for the community.